Höfn "The Lobster Capital of Iceland"
Hofn is, on an Icelandic scale, a large settlement in the South East. The town is known for its fishing village charm, incredible lobster restaurants, and incomparable sights. In close proximity of the town, you will find glistening outlets of the mighty Vatnajökull glacier, hot springs, “the horny” mountain of Vestrahorn, an abandoned Viking Village and alluring waterfalls. 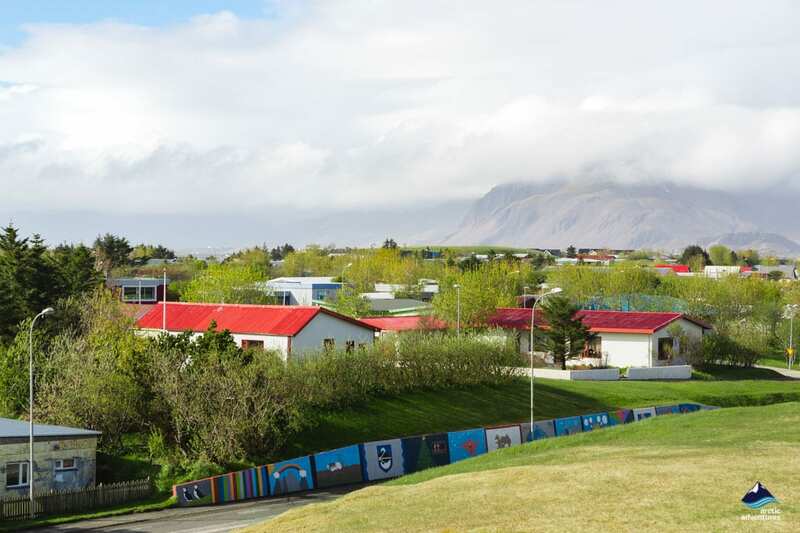 What to do at and around Höfn? Where to eat at Höfn? Hofn is not a big town but after having driven in the surrounding vast emptiness for some time it will feel like a metropolitan city, with numerous restaurants, a pharmacy, a swimming pool, and museums. 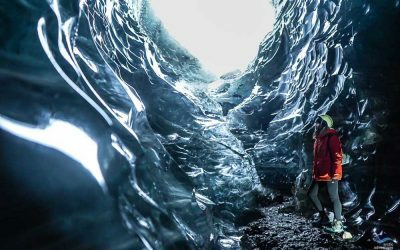 Still, the closeness to Europe’s largest glacier is evident in the incredible views of Vatnajökull and its glacier tongues. 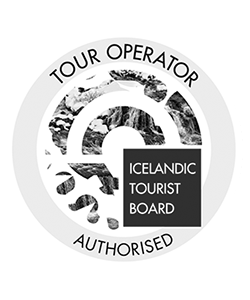 Vatnajökull National Park extends over the surrounding area and the effect of the voluminous glacier is obvious in the landscapes, how the glacier rivers have carved the terrain and flushed away some of the rocks and flora. 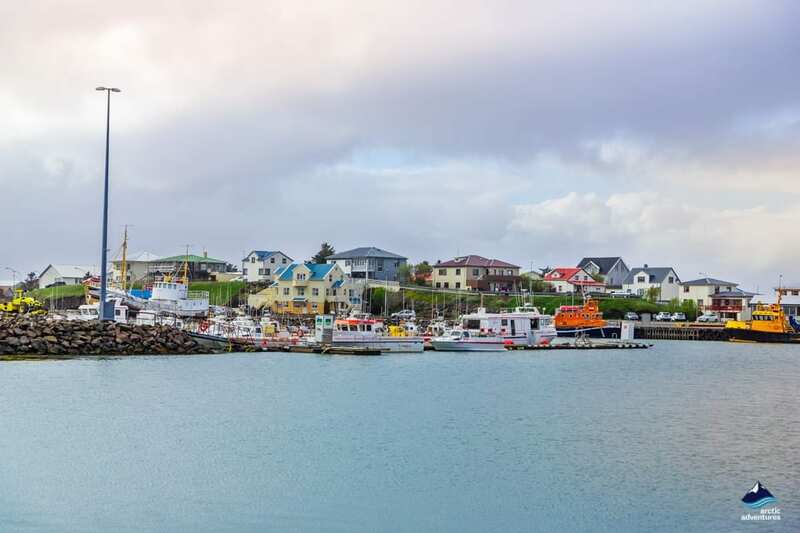 The town’s main trademark is, unquestionably, the tasty lobster, which is best shown in the local restaurants thrive to offer the absolute best lobster dishes and the fact that Höfn’s main town festival is named the Lobster Festival. Höfn is, therefore, often nicknamed the Lobster Capital of Iceland. 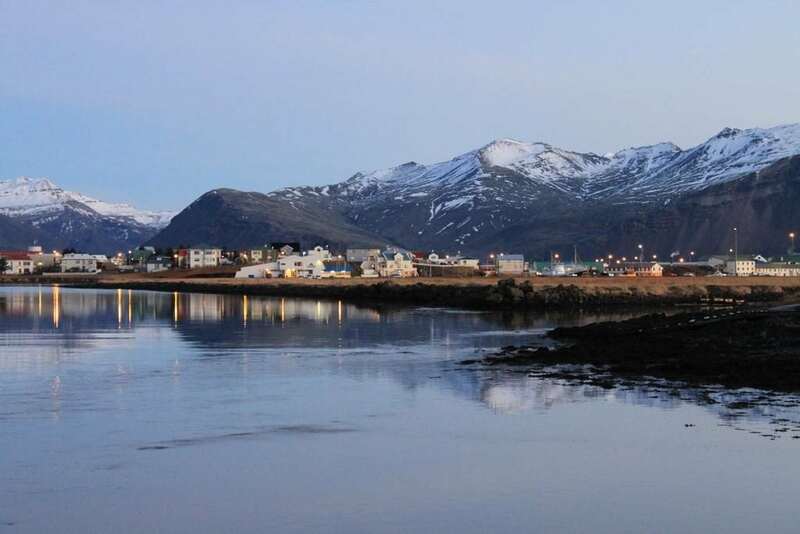 The name Höfn means a harbor, given due to the fact that one of the few natural harbors is located in the area. The name Hornafjörður then originates with the old Viking farm, Horn, which is located in the fjord. The fjord is basically called Horn’s fjord. But, where does the name of the farm Horn come from? Well, the answer lies in the “horny mountains” – all around the farm you will find sharply peaked mountain, the most famous being Vestrahorn and when the Vikings were arriving and starting to settle, they thought this would be the most appropriate landmark to name after. Höfn is somewhat of a hub of culture in the area, as the closest villages Kirkjubæjarklaustur (2 h 40 min away) and Djúpivogur (1 h 30 min away) are quite distant. The town offers all the basic services one might need, a pharmacy, a post office, a swimming pool, a supermarket, shops, golf courses etc. but also pleasantly surprises with a fabulous variety in restaurants and things to do. 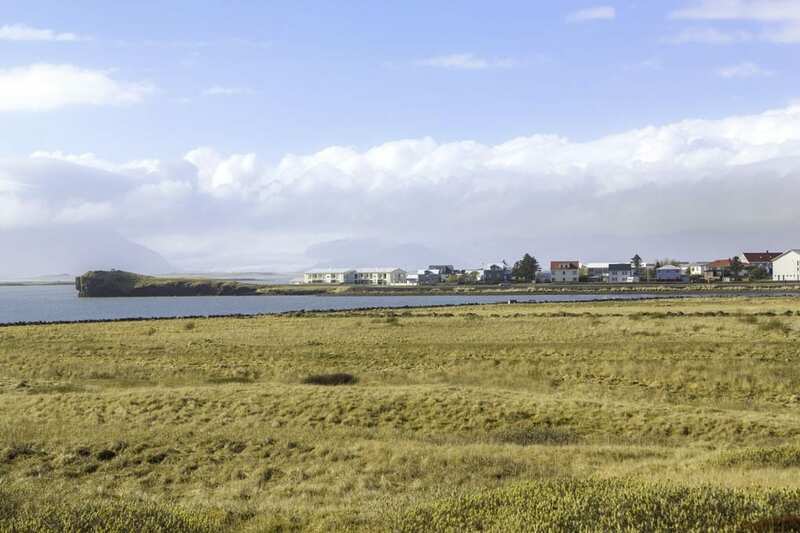 Hofn is located at the brim of its own peninsula, at the base of road nr 99 right off the famous Ring Road 1 in the South East of Iceland. Höfn is 458.2 km (284.7 mi) from Reykjavík, 271,6 km (169 mi) from Vík and 256,3 km (159,2 mi) from Egilsstaðir. 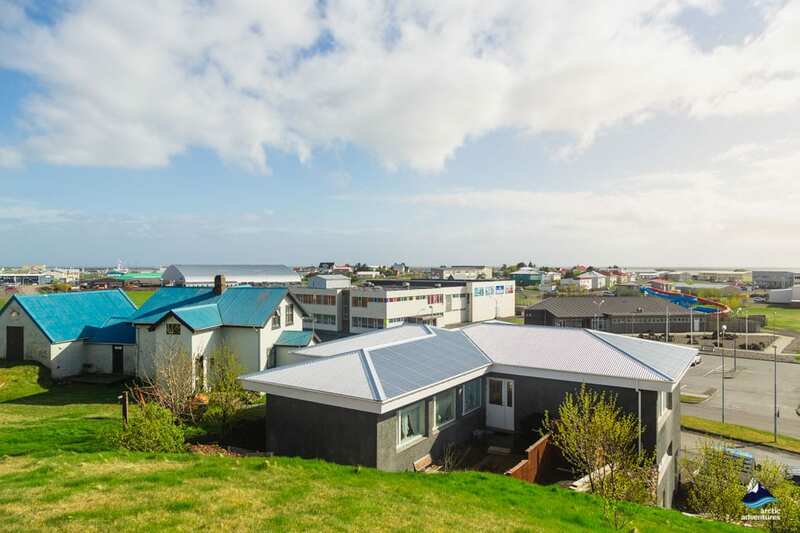 Hofn in Hornafirdi can easily be reached by car or plane in good weather as Höfn is one of the few places found around Iceland housing its own domestic airport. 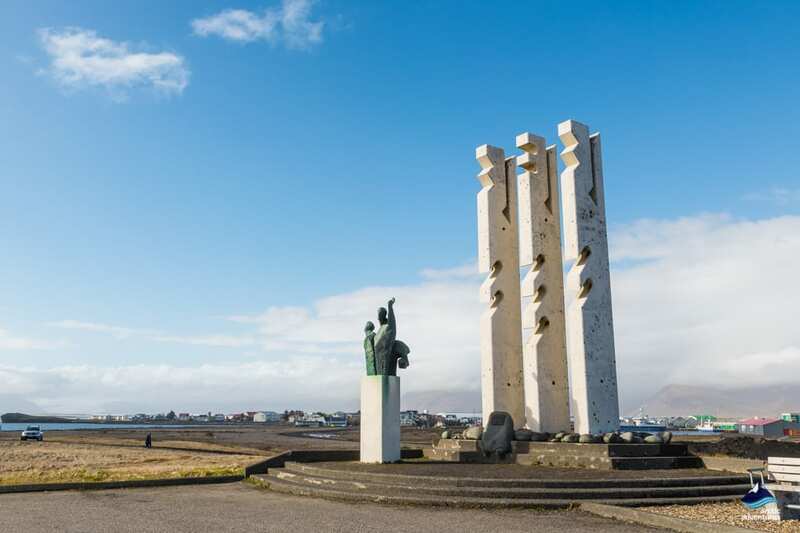 Driving from Reykjavík to Höfn will take about 6 hours without any stops but as there is so much to see on the way we can’t recommend it in one go. From Reykjavík you will follow Ring Road 1 through the towns of Hveragerði, Selfoss, Hella and Hvolsvölur. Go past the waterfall pair of Seljalandsfoss and Skógafoss, past the airplane wreckage at Sólheimasandur, the town of Vík and Reynisfjara Black Sand beach. Onwards you will drive through the black sand of Mýrdalur and in and out of the village, Kirkjubæjarklaustur. 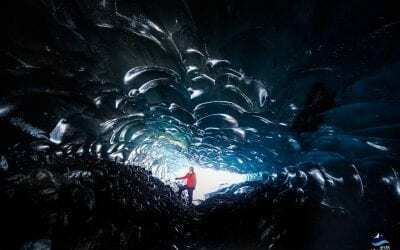 Further along, you will be greeted with glacial views, Skaftafell National Park and Jökulsárlón Glacier Lagoon. After having driven along the South Coast for about five and a half hours you will reach Höfn! 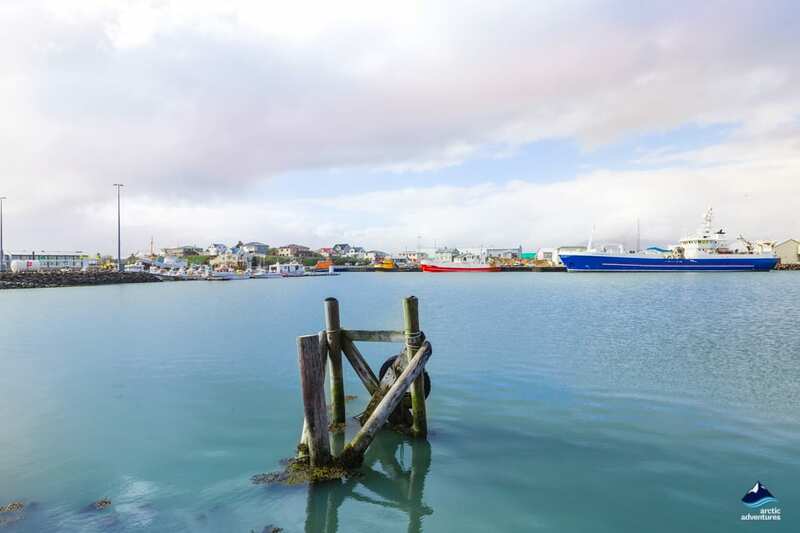 Try the local swimming pool – take a dip into the authentic Icelandic culture! 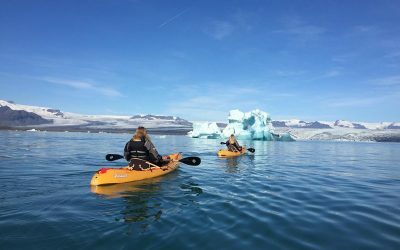 Join a glacier tour – there are so many magical glacier tours options in the region, ranging from glacier hikes to ice cave tours to glacier lagoons kayaking exhibitions. Visit Stokksnes for some splendid views – the horned mountain of Vestrahorn and the black sandy beach around it is breathtakingly beautiful! Make a stop at Gamlabúð – this historical building and shop, best explored with the audio tour available on site. Try some fresh Nordic Lobster – the local restaurant offer stellar meals with the seafood catch of the day! Visit Kiddi’s Workshop – A remarkable stone collection! Visit Nýheimar Cultural Center and Local Museum – ask around for artistic events and exhibitions. Once a year, late June, the capital of Lobster takes its trademark to another level with an all over festival. 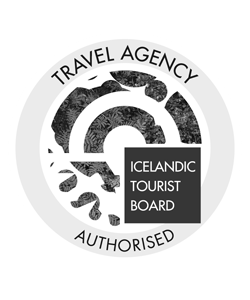 It has been held for many years now and has quickly become known as one of the best Icelandic festivals! 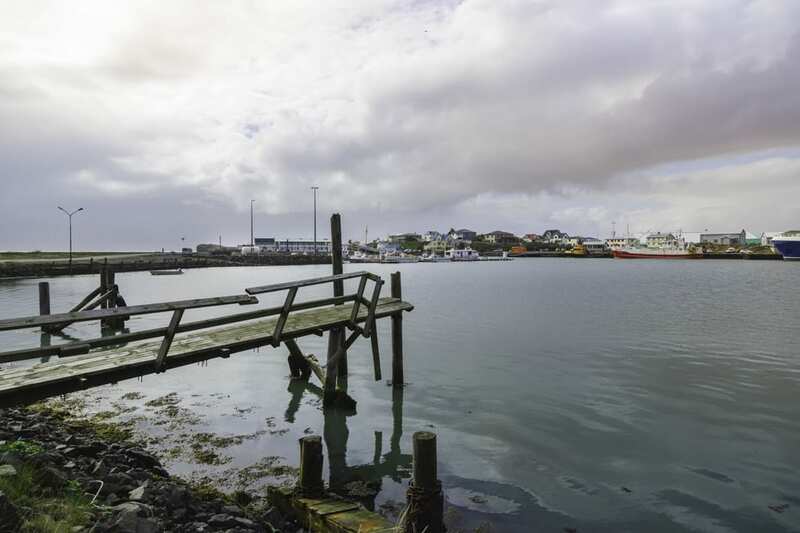 Find out more about Höfn’s Lobster Festival. The first Sunday in June is a big celebrating all around Iceland. This is one of the oldest traditions still held in Iceland in order to celebrate the bravery and hard work of our sailors. Head to the harbor for a parade, candy floss, musical acts and much more. 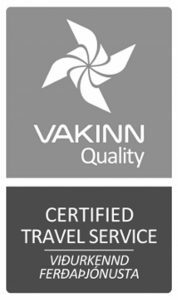 Otto Matur og Drykkur – Yummy Seafood and Scandinavian cuisine, the best rated Hofn Restaurant on TripAdvisor! Jón Ríki – This delicious home cooked meals and brewery bar is well worth the visit. 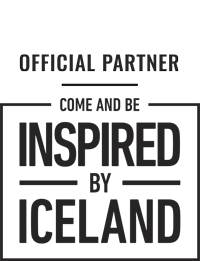 Has been in the business for long and is here to stay! Pakkhus Restaurant – Famous for their langoustine and Icelandic cuisine. Taste the catch of the day cooked by the experts! Humarhofnin – These Seafood pros never fail! One of the best-rated restaurants in the region, loved by travelers as well as locals. Ishusid Pizzeria Restaurant – in the mood for good pizza? This great little Pizzeria will surely not disappoint! Hafnarbudin – Good price for good food. Local dishes with some influence from the typical American diner. Excellent fish and chips! Z Bistro – Local Seafood par excellence and a surprisingly good breakfast buffet. Kaffi Hornid – This bar/café is a fantastic stop to make for a quick cup or a drink but if you are going for the food this place will not lack in deliverance, an amazing place for any occasion. Go for a reindeer burger or a lobster pizza. The Camping Ground at Höfn is simply fantastic. Facilities on site include toilets, showers (every 2 min costs 50 ISK), electricity (costs 750 ISK), washers (costs 800 ISK per load), dryers (costs 800 ISK per load). Nearby you will find a supermarket, a swimming pool, golf courses, a sports area, a playground, and many wonderful restaurants. 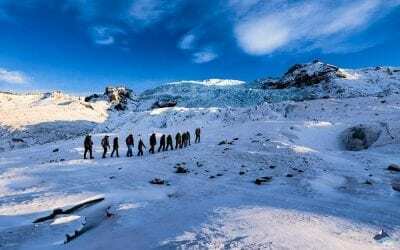 A few blockbuster movies have been shot close to Vík, including two James Bond movies at Jökulsárlón and The Secret Life of Walter Mitty but perhaps the most famous movie location in Vík is of a movie that never actually came out. The Abandoned Viking Film Set right off the borders of Vík is a sight to behold. This incredible complete remake of a Viking village truly takes you back in time and gives you a chance to roam around in an authentic Viking village. You can visit the area for 800 ISK and there is a small café on site. The Viking Village was built in 2010 for what was supposed to be a big movie, called Vikingr, but with inefficient funds, the movie got put on hold. The director of the movie, the recognized Icelander Baltasar Kormákur, has kept paying the landowner to keep the village in hopes that the movie will be made and his dream might just be coming true as recently the right to the movie was purchased by Universal. Hofn has quite mild weather but is recognized for its raininess. The average summer temperatures are around 12°c (54 F) but in winter the temperatures are a little over freezing. You can easily follow the weather for Hofn at the Icelandic Weather Forecast page. Like everywhere in Iceland, you should dress in layers, wear more so you can simply take off if the weather pleasantly surprises. 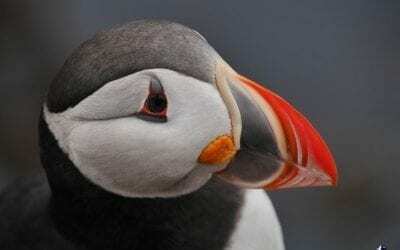 In Iceland, less is more! 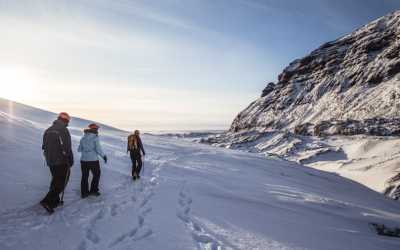 Getting to Höfn in winter can involve a little more risk and effort than travels in summer. If you are driving you will need a 4×4 or good winter tires and you will need to have experience driving in snow and slippery circumstances. If you are looking at flying to Höfn, you might need to have a few spare days as flights are very weather dependant. If you aren’t used to driving and can’t risk flight delays, joining a tour is your best option. Höfn in winter is absolutely beautiful, often looking like a winter wonderland (with a fishing harbor). The Northern lights are known to put up great shows and the nearby glaciers invite you on Ice Cave adventures you will remember a lifetime!